After the first courthouse in Lakeport burned down in 1867, Lake County residents narrowly voted to move the county seat to Lower Lake. 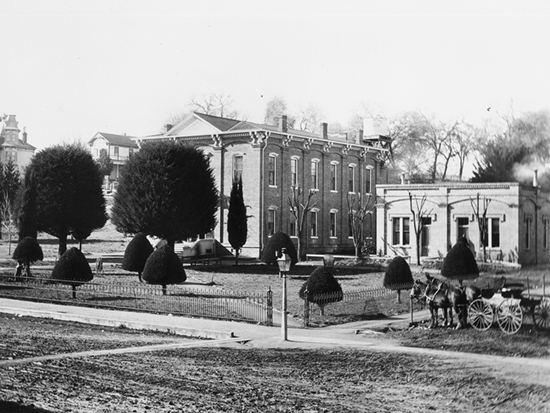 Three years later, before the construction of a new courthouse, the county seat was moved back to Lakeport and this Georgian-style courthouse was built on the site of the first. After more modern facilities were completed in 1968, the building was saved from demolition and today serves as the Lake County Museum. It is listed on the National Register of Historic Places.